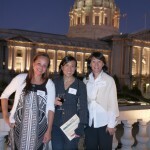 ALRP 28th Annual Reception a Great Success! Thank you to the 300 guests and supporters of ALRP’s From the Heart 28th Annual Reception & Auction who helped raise over $140,000 to support ALRP services. Several ALRP friends and family attended ALRP Night with The Kinsey Sicks on August 2nd in the Rrazz Room of the Hotel Nikko in San Francisco. 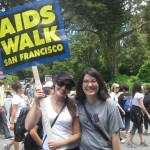 The ALRP Legal Eagles AIDS Walk team raised a record $14,000 on July 17 at AIDS Walk 2011. 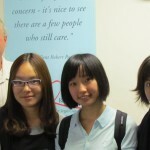 Three Chinese law students took time out of their busy USA tour schedule to visit the offices of ALRP in July 2011.